This cookies was very tasty and it was soft too. I loved the combination of macadamia, coconut AND chocolate. 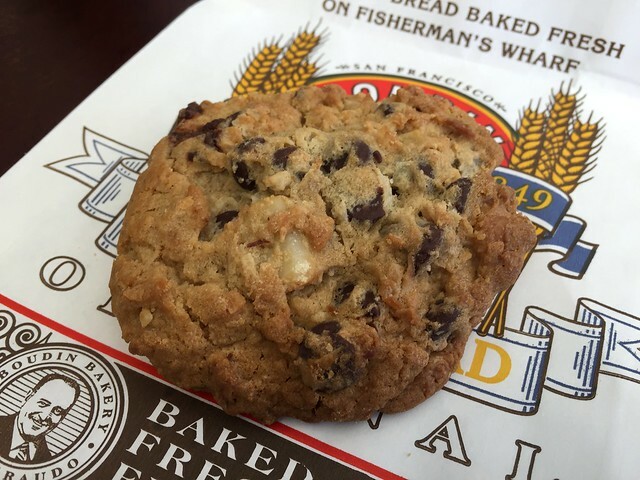 This entry was posted in Bakery, Boudin Bakery and Cafe, Restaurant and tagged cookie, dessert, food, lunch by vicentesf. Bookmark the permalink.